The Ohio Department of Natural Resources Mine Safety program hosted the Eastern SME Spring Collegiate Mine Rescue Contest on April 6-7 at the Mine Safety training center in Cadiz. Six collegiate student mine rescue teams competed--2 teams from Penn State, 2 teams from West Virginia University, 1 team from Southern Illinois University and 1 team from the University of Kentucky (who took 1st place). 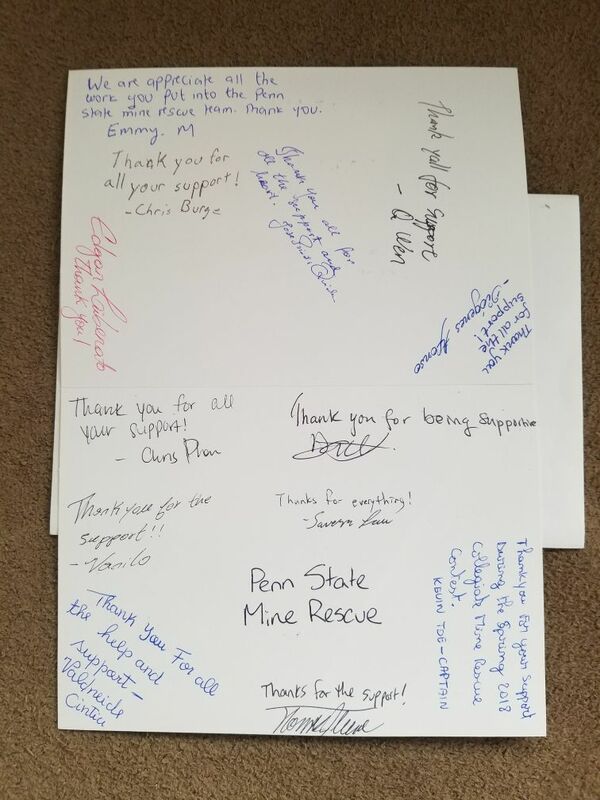 The Penn State mine rescue team received a $500 grant from the Pittsburgh Section SME and have provided a signed thank-you card for the section's generosity and commitment to their success. 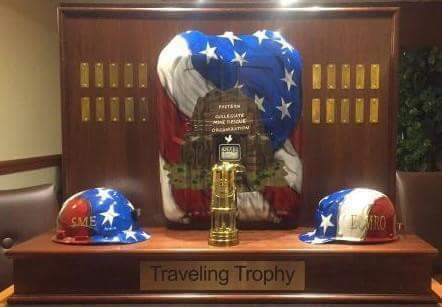 A special thanks to Don Hager (Virginia Tech mine rescue team mentor and National Mine Rescue Hall of Fame Member) who designed the Collegiate Mine Rescue Traveling Trophy. Thank you to the many committed professionals and educators who are supporting and educating these students to become a well-organized, trained, and equipped group of future mine rescue experts.